NAFDAC arrests 4 men for revalidating beverages – Royal Times of Nigeria. The National Agency for Food, Drug Administration and Control(NAFDAC), Abia office, says it has arrested four men in Aba for allegedly revalidating beverages. Mr Olisa Okeke, the Abia Coordinator of NAFDAC, made this known on Tuesday in Abuja in an interview with the News Agency of Nigeria (NAN). He said that the arrested men relabelled the beverages with new expiry dates. Okeke said a joint team from Lagos and Abia offices led by Mr Emeka Onwuasonya arrested the men at Eziukwu market on Monday. The coordinator said that the suspects were caught revalidating drinks in cans and dairy products at the time of the arrests. He said that the men had been moved to Lagos for further investigation and prosecution. Okeke said it was unfair for people to fake or revalidate products, knowing it was harmful to the body. 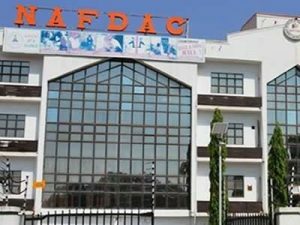 According to him, NAFDAC has devised new means of tackling the menace and would not relent in its efforts to check the perpetrators. He urged operators in the market to desist from attacking officials on lawful duty. “About four weeks ago, some dealers in the market assaulted the agency staff during a raid of the market. “They injured one of the NAFDAC officials in the shoulder and the other in the head with stones and also damaged one of the agency’s vehicle during the operation,” he said.